Çukurova, alternatively known as Cilicia, is a geo-cultural region in south-central Turkey, covering the provinces of Mersin, Adana, Osmaniye and Hatay. With a population of almost 6 million, it is one of the largest population concentrations in Turkey. The Port of Mersin, aka Mersin International Port (MIP), is a major port located on the north-eastern coast of Mediterranean Sea at Mersin in southern Turkey. It is the country's second largest port after Ambarli, near Istanbul. Owned by the Turkish State Railways (TCDD), its operating right is transferred on May 11, 2007 to PSA – Akfen consortium for a period of 36 years. The 2013 Mediterranean Games, officially known as the XVII Mediterranean Games, was an international multi-sport event held in the tradition of the Mediterranean Games, as governed by the International Committee of Mediterranean Games (ICMG). The host city of the Games was Mersin, Turkey, as announced after an on-line poll conducted on 23 February 2011 by the ICMG. The games were held from 20 to 30 June 2013. Mersin is the second city in Turkey after İzmir to host the Mediterranean Games. All 24 member National Olympic Committees (NOCs) of the ICMG participated in the Games. The official programme for the Games is featuring events in 27 different sports. The Mediterranean Games are a multi-sport games held usually every four years, between nations around or very close to the Mediterranean Sea, where Europe, Africa, and Asia meet. The games are under the auspices of the International Committee of Mediterranean Games (CIJM). The 9th millennium BC spanned the years 9000 through 8001 BC. This marks the beginning of the Neolithic period. Yumuktepe is a tell at 36°48′5″N34°36′14″E within the city borders of Mersin, Turkey. In 1936, the mound was on the outskirts of Mersin, but after a rapid increase of population, the mound was surrounded by the Toroslar municipality of Mersin. In subsequent centuries, the city became a part of many states and civilizations including the Hittites, Assyrians, Persians, Greeks, Seleucids and Lagids. During the Ancient Greek period, the city bore the name Zephyrion (Greek: Ζεφύριον  ) and was mentioned by numerous ancient authors. Apart from its natural harbor and strategic position along the trade routes of southern Anatolia, the city profited from trade in molybdenum (white lead) from the neighbouring mines of Coreyra. Ancient sources attributed the best molybdenum to the city, which also minted its own coins. The Hittites were an Anatolian people who played an important role in establishing an empire centered on Hattusa in north-central Anatolia around 1600 BC. 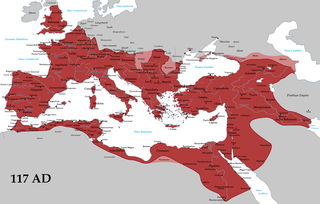 This empire reached its height during the mid-14th century BC under Suppiluliuma I, when it encompassed an area that included most of Anatolia as well as parts of the northern Levant and Upper Mesopotamia. In antiquity, Cilicia was the south coastal region of Asia Minor and existed as a political entity from Hittite times into the Armenian Kingdom of Cilicia during the late Byzantine Empire. 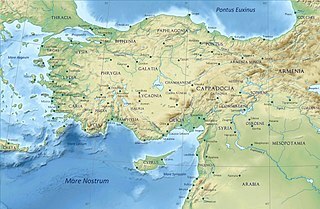 Extending inland from the southeastern coast of modern Turkey, Cilicia is due north and northeast of the island of Cyprus and corresponds to the modern region of Çukurova in Turkey. The Metropolitan Municipality is now trying to rescue the sea front with walkways, parks and statues, and there are still palm trees on the roadsides especially where the young generation like to hang out in the cafés and patisseries of smart neighbourhoods such as Pozcu or Çamlıbel. These are established neighbourhoods where there are many well-known shops and restaurants with years of experience and reputations to protect. The city centre is a maze of narrow streets and arcades of little shops and cafes, with young people buzzing around on scooters. The old quarter near the fish market is where you will find the stalls selling tantuni and grilled liver sandwiches. The biggest shopping mall of the city, Forum Mersin is home to more than 100 shops  and attracts all kinds of people for shopping. Historically, Mersin was a major producer of cottonseed oil. The rural area around Mersin is famous for citrus and cotton production. Banana, olive and various fruits are also produced. Adana is a major city in southern Turkey. The city is situated on the Seyhan river, 35 km (22 mi) inland from the Mediterranean, in south-central Anatolia. It is the administrative seat of the Adana Province and has a population of 1.75 million, making it the 5th most populated city in Turkey. The Adana-Mersin polycentric metropolitan area, with a population of 3 million, stretches over 70 km (43 mi) east-west and 25 km (16 mi) north-south; encompassing the cities of Mersin, Tarsus and Adana. The Mersin Province is a province in southern Turkey, on the Mediterranean coast between Antalya and Adana. The provincial capital is the city of Mersin and the other major town is Tarsus, birthplace of St Paul. The province is part of Çukurova, a geographical, economical and cultural region, that covers the provinces of Mersin, Adana, Osmaniye and Hatay. Pozantı is a town and a district in the Adana Province of Turkey. The town is the at the highlands of Çukurova, and is the major gateway to the Mediterranean coasts. Pozantı stands in the foothills, at the bottom of a rare pass through these high mountains. The mayor is Mustafa Çay (MHP). The Mediterranean Region is a geographical region of Turkey. Mersin İdmanyurdu Sports Club; located in Mersin, east Mediterranean coast of Turkey in 1963-1964. MİY was Turkey Amateur Champions in 1963. The 1963–64 season was the 1st season of Mersin İdmanyurdu football team in Second League, the second level division in Turkey. It was also the first season of the team in a professional league in Turkish football league system. The team also attended 1963–64 Turkish Cup and was eliminated at third round. Mersin İdmanyurdu Sports Club; located in Mersin, east Mediterranean coast of Turkey in 1964-1965. The 1964–65 season was the 2nd season of Mersin İdmanyurdu football team in Second League, the second level division in Turkey. The team finished 1964–65 Second League at third place. The team also participated in 1964–65 Turkish Cup and was eliminated at third round. Mersin İdmanyurdu Sports Club; located in Mersin, east Mediterranean coast of Turkey in 1965-1966. The 1965–66 season was the 3rd season of Mersin İdmanyurdu football team in Second League, the second level division in Turkey. Yenişehir is a municipality and district governorate in Greater Mersin, Turkey. Mersin is one of the 30 metropolitan centers in Turkey with more than one municipality within city borders. In Mersin there are four second-level municipalities in addition to Greater Mersin (büyükşehir) municipality. Mersin Harbor is a seaport facility in Mersin, southern Turkey. As one of the largest harbors in the country, it is Turkey's main gateway to the Mediterranean Sea. It was constructed during the 1950s as a major government project. Cleopatra's Gate is a city gate of Tarsus, in Mersin Province, Turkey, named after the Egyptian queen Cleopatra VII. Mersin Province is a Mediterraneran province of Turkey. The south eastern plain of the province is a part of Çukurova. But most of the province is mountainous with a number of small alluvial plains at the coastal band. Below are the transport facilities of the province. The Kaç Kaç incident is a popular phrase referring to the escape of 40,000 Turkish people from Çukurova during the Franco-Turkish War. Çukurova is a loosely defined region in southern Turkey which covers most of the modern Turkish provinces of Mersin, Adana, Osmaniye, and Hatay. Mersin İdman Yurdu or Mersin İdmanyurdu is a Turkish sports club from Mersin, Turkey in the eastern Mediterranean Region. The team played in the Turkish first division for 11 seasons, and after the 1983–84 season the football team played in the Turkish second and third divisions. The team was promoted to the Turkish second level division after the 2008–09 season. MİY became the champions of the Turkish second division during the 2010–11 season and earned promotion to the Turkish Süper Lig during the 2011–12 season. Previous ground of the team was 10,125 capacity Tevfik Sırrı Gür Stadium. In 2013, their new 25,534 person capacity stadium, New Mersin Stadium, was inaugurated on 23 March 2013 with a TFF First League match against Gaziantep Büyükşehir Belediyespor. Their main rivals are Adana Demirspor, Adanaspor and Tarsus İdmanyurdu, and are friendly with Bucaspor. İsmet İnönü Boulevard is a major avenue in Mersin, Turkey. It is named after İsmet İnönü (1884-1973), the second president of Turkish Republic between 1938 and 1950. The Lütfullah Aksungur Sports Hall is an indoor arena for handball competitions located in Adana, Turkey. It has a seating capacity of 1,750. The venue was built in 1994. Owned by Çukurova University, the venue is named in honor of Prof. Dr. Lütfullah Aksungur (1925-1986), a dermatologist and founding dean of the university as well as its rector between 1977 and 1980. Below is the list of sport venues in Mersin, Turkey. Some of these were constructed for the 2013 Mediterranean Games. 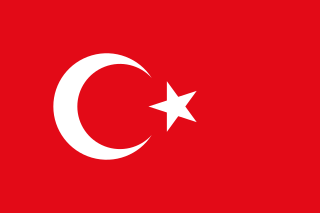 The Vilayet of Adana (Ottoman Turkish: ولايت اطنه, Vilâyet-i Adana‎; was a first-level administrative division of the Ottoman Empire in the south-east of Asia Minor, which encompassed the region of Cilicia. It was established in May 1869. Adana Vilayet bordered with Konya Vilayet, Ankara Vilayet and Sivas Vilayet, and Haleb Vilayet. Adana Vilayet corresponds to the modern region of Çukurova in Turkey. Mersin İdmanyurdu Sports Club; located in Mersin, east Mediterranean coast of Turkey in 1961–62. Mersin İdmanyurdu (MİY) football team. 1 2 "Turkey: Major cities and provinces". citypopulation.de. Retrieved 2015-02-08. ↑ İçel: Mersin- Tarsus- Çamlıyayla- Erdemli- Silifke- Aydıncık- Bozyazı- Anamur- Gülnar- Mut (Kültür, Turizm ve Tanıtım yayınları, 1992), p. 7. ↑ Prothero, G.W. (1920). Anatolia. London: H.M. Stationery Office. ↑ KINALI, Tuncay. "Mağazalar – Forum Mersin Alışveriş Merkezi". www.forummersin.com. Archived from the original on 2015-01-08. Retrieved 2016-03-05. ↑ Prothero, G.W. (1920). Anatolia. London: H.M. Stationery Office. p. 113. ↑ GÜNGÖR, İZGİ (10 March 2008). "Not only bodies, but prejudices buried in Mersin Cemetery". Hurriyet Daily News. Retrieved 13 January 2014. ↑ "Mersin, Tesisleri ile Fark Yaratacak..." (in Turkish). Mersin 2013 XVII Akdeniz Oyunları. Archived from the original on 2013-05-07. Retrieved 2013-05-14. ↑ "Nevin Yanıt Atletizm Kompleksi" (in Turkish). 2013 Mersin XVII Akdeniz Oyunlatı. Archived from the original on 2013-05-12. Retrieved 2013-05-15. This article incorporates text from a publication now in the public domain : Herbermann, Charles, ed. (1913). "article name needed". Catholic Encyclopedia . New York: Robert Appleton. Wikivoyage has a travel guide for Mersin . Wikisource has the text of the 1913 Catholic Encyclopedia article Zephyrium . Wikimedia Commons has media related to Mersin .